Summer is almost here for many of us (sorry, down-under). And maybe it’s time to be outside and enjoy the nature and hopefully some sun for a bit. After clouds come sunshine, or how was it? 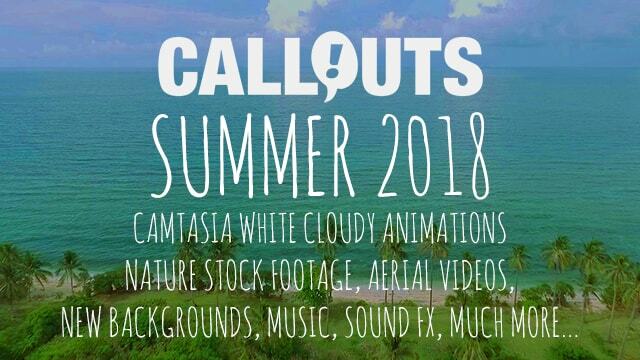 We are proud to present our latest Camtasia template: White Cloudy Animated Assets. “White cloudy” styled graphics have been very popular, and now we have created a template collection for you to use in Camtasia. This version was made for Camtasia 9. Camtasia 2018 version will be available on June 20th here as well. The templates are well organized and install directly into your Camtasia 9 (PC) library. All resources have been carefully developed and timed to match each other in order to create a fluid presentation. Be sure to check out the preview video above for some inspiration for your summer/nature related creative projects. A new batch of Aerial stock footage also out now. 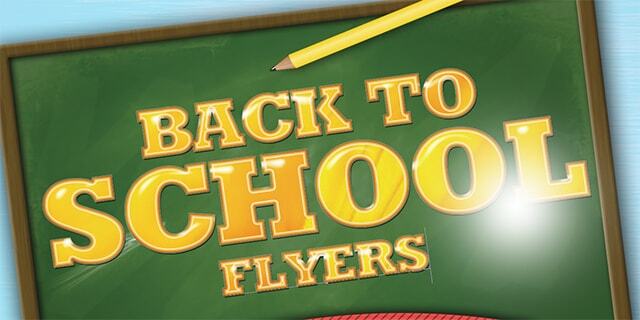 Check out previews and download Aerial Stock Footage here! Ten free useful button birthday related graphic assets. Transparent, 512×512 pixels in size. 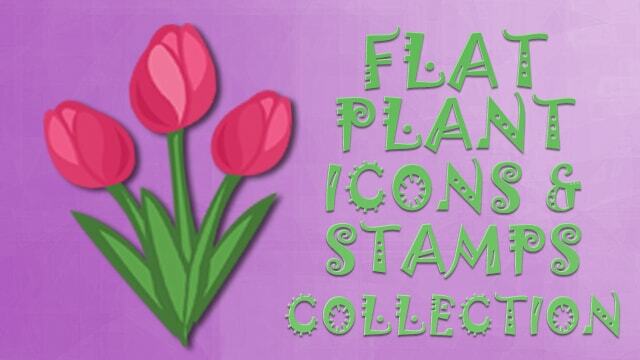 This icons/stamps-collection can be used in most graphics, office, and presentation related software just by dragging and dropping the icons into the app. 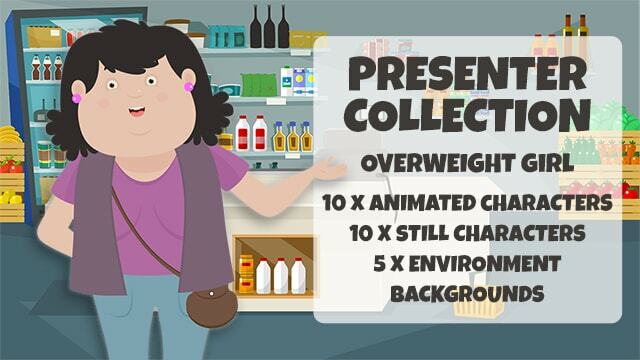 The collection includes 10 graphics, 10 transparent animated character videos (MOV) and five different background environments. 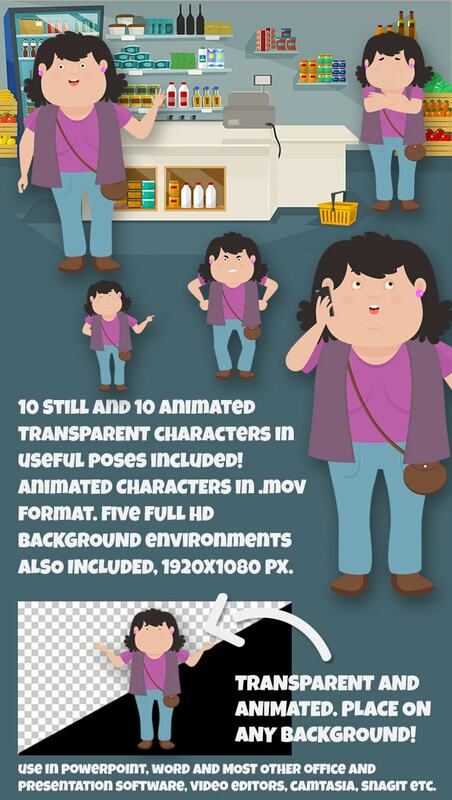 The included animated/still character shows a slightly overweight girl in various positions, for example: saying hello, talking on mobile, frustrated, surprised, demonstrating etc. Sometimes, simplicity is the key to focus the attention on the message. If you are in need of a simple, yet attention-drawing background for your presentations and videos, check out this set of diagonal striped basic backgrounds. 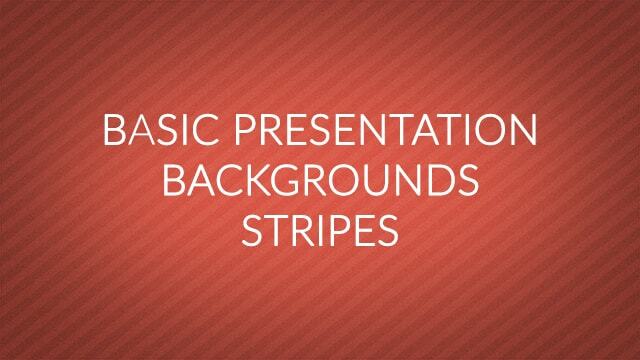 The pack contains 15 backgrounds with stripes and different stylish colors. Each background is in full HD 1920×1080 pixels. The collection is delivered in jpg-format, in full HD 1920×1080 to fit your presentations, videos, and Powerpoint. New cool graphic backgrounds for your presentations, videos, and social media. 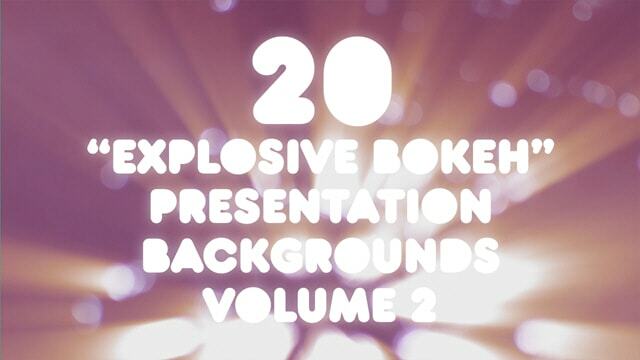 Presenting: Explosive Bokeh Backgrounds, Volume 02. A collection of 20 real bokeh photograph backgrounds. Use this graphic collection to get a soft background look for your presentations, videos and other visual communication. Use in your Powerpoint presentations, as background graphics, and in your videos. Two brand new collection with 35 flat transparent and round sports related icons. 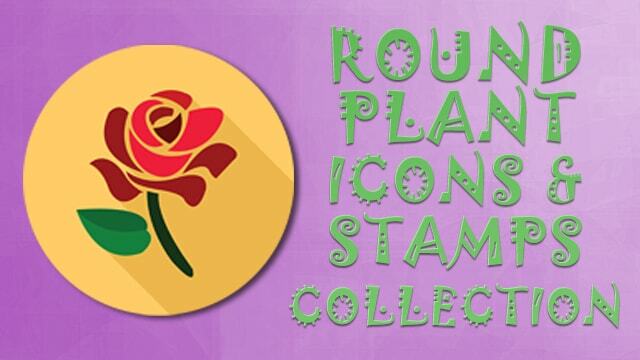 These icons/stamps can be used in most graphics, office and presentation related software just by dragging and dropping. Import for example directly into Snagit and use them as stamps. Click the images above to check out and download each collection. See an overview of the flat/transparent collection below. Please note that Monthly Bonuses are only available for a limited time. 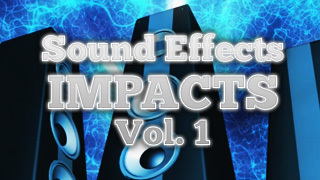 Just like the Hollywood producers, give your videos impact and emotion with this hard-hitting royalty-free sound effects package. The collection includes orchestral crescendos, low and heavy strings, timpani rolls, tremolo strings, orchestral hits, and a variety of impacts. 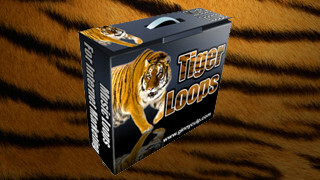 As this month’s special we have a real treat – Tiger Loops music pack! One of the challenges that every creator of a multi-media product is faced with, is how do you make your music track the perfect length? That’s where TIGER LOOPS comes in! The length (the running time) of royalty-free music production tracks are created by the music developer, and since YOU are the creator of your multi-media product there’s often a disparity between the duration of the music track, and making it fit your needs. To solve this, video producers have often turned to LOOPS. A loop is a section of music (a certain number of bars) which can then be repeated, allowing you to create the music track to FIT exactly with your time requirements. But since most music loops are designed to “repeat” over and over, then there’s no defined ending for the song. There’s NO punch, there’s NO dynamics, and there’s NO ending beat or impact. Each track in the TIGER LOOPS collection comes with a set of TWO. By looping the first file and adding the ending file onto it in your timeline, in seconds you can make your music track virtually ANY length you want. 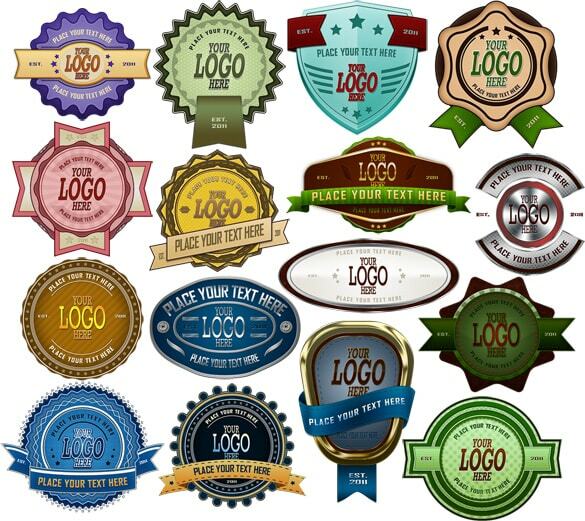 One of the things we all need for our web and print graphics are badges, signs, and logos. So I’ve put together this brand new set of layered PSD templates that will help you create all these graphics yourself, in minutes. Transparent PNG versions without text are also included so you can edit these in any graphics software and add your own texts. 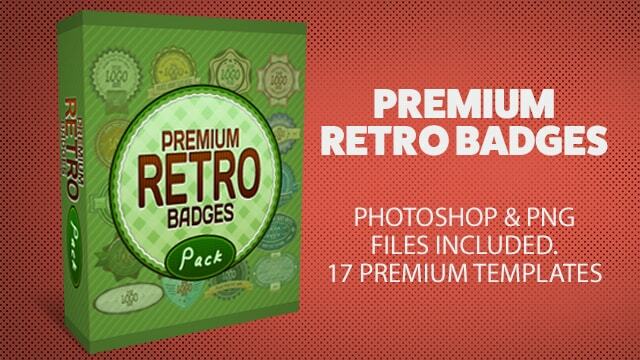 See an overview of included badges below. 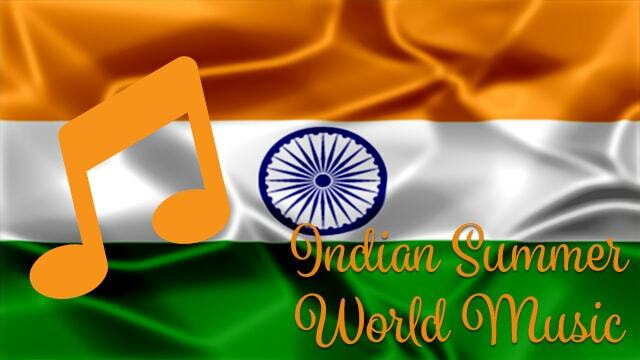 We have two new sets of summer themed tracks, inspired by World Music. 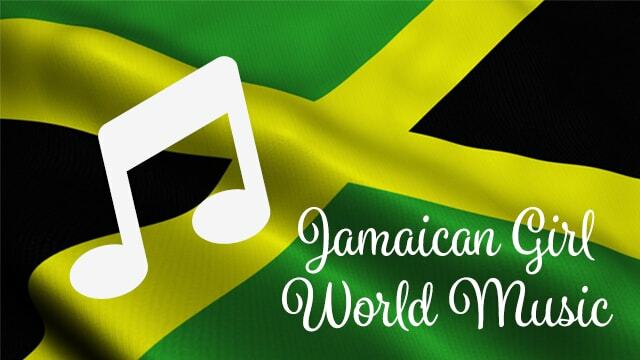 Jamaican Girl is available in eight different versions and Indian Summer, in five versions. Click on each thumbnail to see available tracks and listen to samples. We will now take a short summer break and will soon be back with a a lot of amazing new assets for your creative projects.